Or as low as $159.99 per month over 6 months. Apply Now. Thin-line woofer technology that compresses the architecture of the JL Audio 13TW5v2-2 using a “concentric tube” structure that supports the 7-inch diameter voice coil and the suspension attachments. This permits placement of the large motor structure much further forward in the speaker than with conventional designs, while allowing excellent linear excursion capability and mechanical stability. The patented thin-line woofer technology compresses the architecture of the JL Audio 13TW5v2-2 subwoofer and allows it to deliver great bass performance in tight space applications, requiring only 2-5/8″ depth. Central to the technology is the Concentric Tube structure that supports the oversized voice coil and the suspension attachments. This permits placing the motor structure much further forward in the speaker than in conventional designs, while maintaining excellent linear excursion capability. Equally important, the design is optimized for extremely small box volume applications. A challenge in any low-profile woofer design is to permit enough mechanical clearance for the speaker to handle power and generate good output at low frequencies. 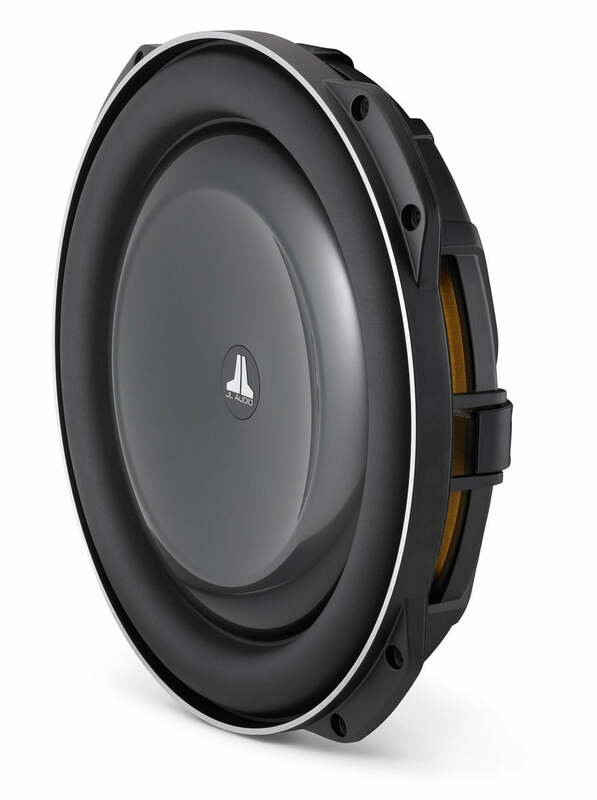 JL Audio’s patented solution employs a molded structure which spans over the edge of the motor system, supporting the spider on the outside of the motor’s boundaries and the large diameter voice coil on the inside. The large voice coil permits the magnet to sit inside it, rather than surrounding the coil as is typical in most woofers. The concentric tube structure and the elimination of a conventional top-plate helps JL Audio move the motor structure into the cone body’s space to further compress depth, while still permitting substantial mechanical excursion. DMA is JL Audio’s proprietary method of improving dynamic motor behavior. As a result of DMA optimization, the 13TW5v2-2 motor maintains a linear force over a long excursion range and stable, fixed magnetic field in the gap over a wide power range. The result is reduced distortion, faithfully reproduced transients, and tight, clean, articulate bass. JL Audio’s patented FCAM technology is a method of attaching the surround/cone assembly to the voice coil/spider assembly to maintain proper surround geometry, thus improving excursion control and dynamic voice coil alignment. To counteract the efficiency tradeoff of small box volume, the JL Audio 13TW5v2-2 is designed to handle very high power levels thanks to the use of a very large 7-inch diameter voice coil. 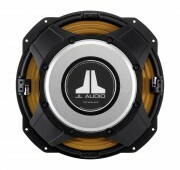 The JL Audio 13TW5v2-2 only requires a mounting depth of 2-5/8″ (top mounted). The JL Audio 13TW5v2-2 is best used with amplifier power in the 250W – 600W range and is optimized to operate in a 0.80 cu. ft. (22.7 l) sealed enclosure. 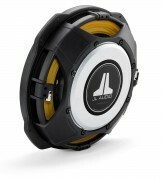 JL Audio Canada 1 Year Parts and Labour Warranty.